As personalized learning rises in popularity, many school districts are eagerly adapting their educational models and classrooms around the concept. Though there’s not a universal definition, the basic premise is that personalized learning tailors the instruction, content, and pace to the individual student’s interests and strengths, using technology, data, and continuous feedback to refine this customization. To learn more about how facilities leaders can embrace this concept, the K12 Facilities Forum spoke with two thought leaders who are pioneers of this emerging movement in the education world. 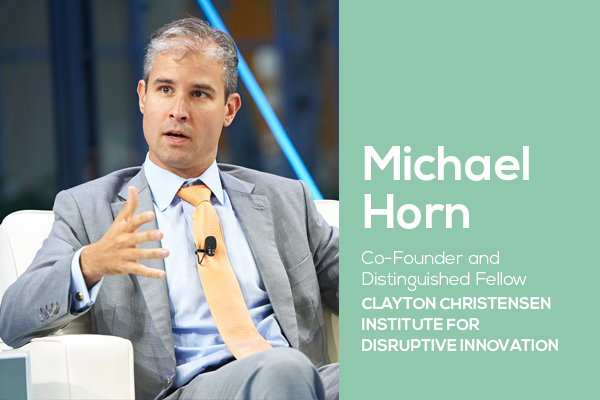 Despite his passion for the concept of personalized learning, Michael Horn isn’t a fan of the phrase itself: he believes it’s become a noun that means different things to different groups of people. Horn prefers to keep it simple and think of it as a verb that revolves around personalizing the learning experience for the long-term benefits of students so they can achieve their full potential. Horn also acknowledged that people sometimes conflate personalization with individualization, meaning that it’s just 30 kids sitting on computers the whole time--which is not the case. According to Horn, the traditional classroom--aka, students grouped by age with a teacher at the front organizing activities--is fading in favor of a flexible learning environment. He foresees a room where you don’t necessarily know where the “front” is, where students of mixed age and ability collaborate, and with dedicated spaces throughout the room to support different activities. “Some students might be working individually (online or not), while others are in small groups and working on projects with fellow collaborators. There must be the ability to move fluidly through those different modalities as makes sense for the individual student,” he said. Horn also predicts that teachers’ roles will become more fluid with these changes. When it comes to blended and online learning, Horn sees a great benefit in allowing students to move at different paces, as long as it’s combined with the benefits of learning with peers. Horn stated that maximizing human talent is critical, and this means personalizing for each students’ needs when they need it. He believes there are schools all over the country trailblazing PL, naming Thrive Public Schools in San Diego as one superlative example. “A lot of facilities leaders are working with existing spaces, and the challenge is to hack a space for this new future. I’d implore those with the opportunity to build a school from scratch to avoid constructing a 20th century school and instead think about what student-centered learning could look like: where students progress as they master material, not based on courses, time and the calendar,”. Rhode Island may be tiny, but it has emerged as a powerhouse in the PL movement. In September 2016, the state unrolled a $2 million public-private personalized-learning initiative to chart and test how personalized instructional techniques can be delivered to its 142,000 K-12 students. Daniela Fairchild explained that the first thing they did was create a shared understanding of what PL is and what it isn’t. According to Fairchild, educators aren’t the only ones who should have a pulse on personalized learning. “The ability to create fluid and supportive space that really invites students throughout the school is so essential, and facilities leaders along with tech directors have an important role in that process,”. Flexible space is essential for supporting and elevating personalized learning. Fairchild asserted that incorporating movable furniture, creating different types of learning spaces within the room and school, and even experimenting with little things like making mini-whiteboards on desks with flexiglass or other sheeting are all helpful design elements. But what she has found most remarkable in Rhode Island is the power of space co-creation and design with students, which creates a real sense of ownership. In Rhode Island, 99% of the schools have achieved the minimum level of student connectivity needed, and most schools have enough devices. Fairchild emphasized the importance of having the adequate infrastructure in place so that technology enhances learning in the classroom rather than detracting from it. Because, while tech is critical to the work, she says it shouldn’t be central to learning. “We see personalized learning as tech-enabled, but not tech-driven,” she said. 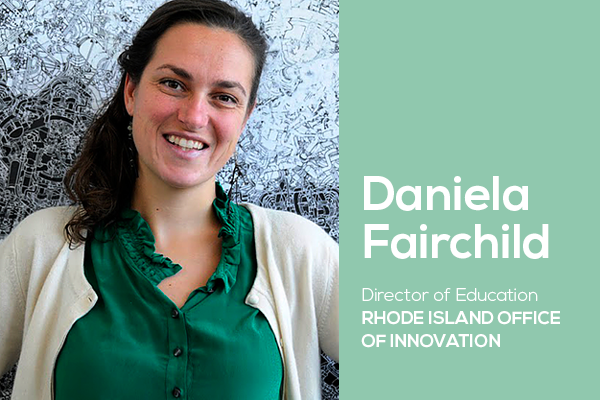 Fairchild doesn’t see personalized learning as a passing fad, but as a permanent model for many reasons. In Rhode Island, she said the push for equity is one driving factor. 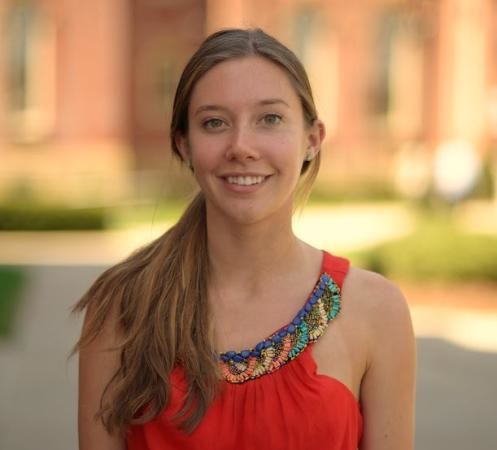 “Our collective student body is increasingly diverse. If we really do care about equity, we need to ensure that our learning is relevant to all of our students. I think we are seeing a shift toward personalized learning because educators across the country want to make sure that they are best serving all students, no matter their particular skill sets, background, and learning style,” she said. Rhode Island’s General Assembly just passed a $250 million bond order that will go to referendum in November. If it passes, the state money will be dedicated specifically to school facility redesign...and other states will be able to learn from the results. “We just hired a new school building authority lead and we will be doing a lot more over the next 10 years to support districts in order to maximize this money and best utilize their space to support personalized learning,”.